I am a great fan of pieces by Louis Prodhin to whom this tray is attributed. 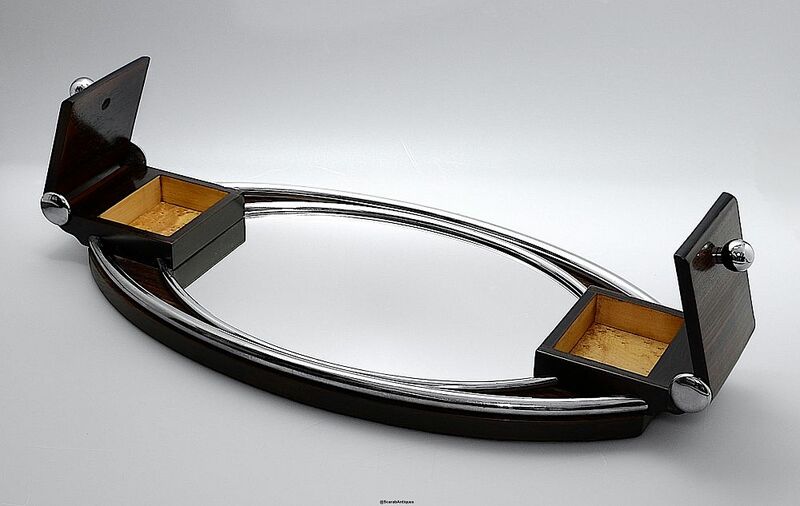 Made during the Art Deco period it is oval and at each end is a lidded macassar ebony compartment with a spherical chrome finial and large round chrome hinges. Each compartment is lined with a blond (possibly amboyna) veneer. . 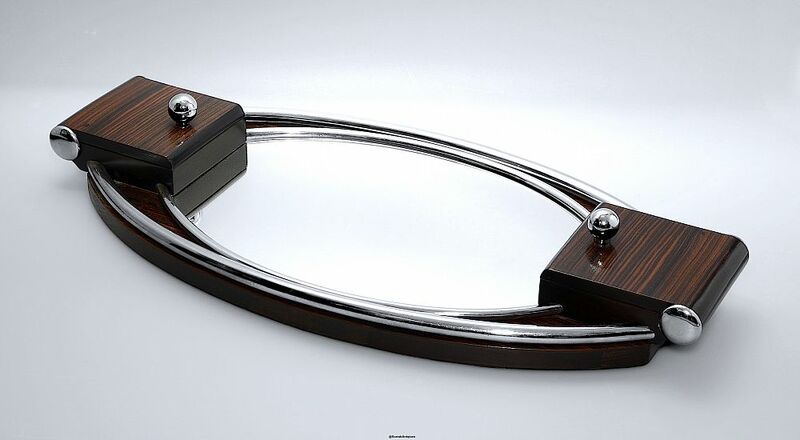 There is a shaped round chrome tube running along both sides of the tray and between the two compartments with two inner chrome tubes framing the mirrored base. The base of the tray is in macassar ebony. This is a super piece!